On 4 Jan 1939 there were heavy falls of snow in the area hampering movement. Holmley Lane (Messrs Kay and Rowbotham) adit to Silkstone. No2 shaft at Creswell (Derbyshire) (Bolsover Co) was deepened to the Threequarter seam at 778 yards (711m). A steep drift was also driven from the pit bottom area in Top Hard to this seam. At Bolsover, the Waterloo and Blackshale seams were closed and work was concentrated in the Deep Hard. At Brimington a small mine, Wheeldon Mill No2 pit (Derbyshire) (H Gaunt, Loscoe Brickworks) was being sunk. Sir Frederick Sykes opened Derbyshire Miners’ Holiday Camp at Skegness on 20 May 1939. The camp could accommodate 1,000 people. Prices were 33s 0d (£1.65) for man and wife and 8s 6d (42½p) for each child per week. Special arrangements were made with the Railway Companies for cheap fares from Derbyshire. 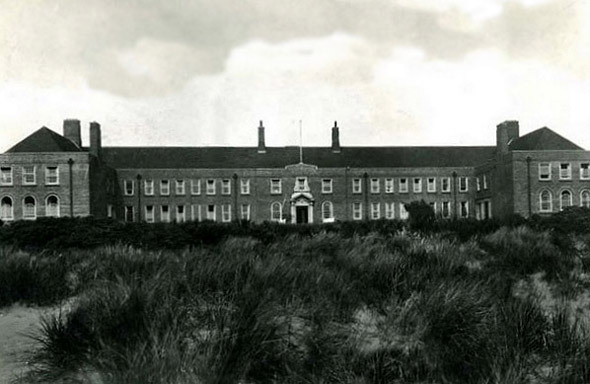 The Skegness Convalescent Home (Linconshire) on the sea-front since 1939 was opened also. 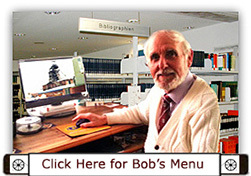 It was an independent mining charity run by own trustees for East Midlands miners. 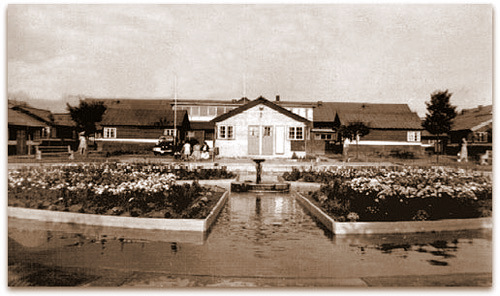 The Berry Hill Rehabilitation Centre (Mansfield) for injured miners was opened just prior to the start of the War in 1939. The Midland Colliery Owners' Mutual Indemnity Co asked for a Fracture Clinic at Mansfield General Hospital. It was sponsored by a group of local coal owners. Ernest A Nicholl MB, B Ch, FRCs Ed was the surgical Director and he opened an accident service at Mansfield General Hospital early in 1939 and a Rehabilitation Centre at Berry Hill, Mansfield, just prior to the Second World War, where patients attended for 5 days in the week and went home at weekends. Patients with severe paraplegia did not attend there. (Nicholl was invited by the Miners' Welfare Commission later to go to the USA in 1947 to see their Centres. It would lead to a Spinal Unit being opened at Sheffield Lodge Moor in 1954 by Frank Holdsworth a friend of Nicholl. 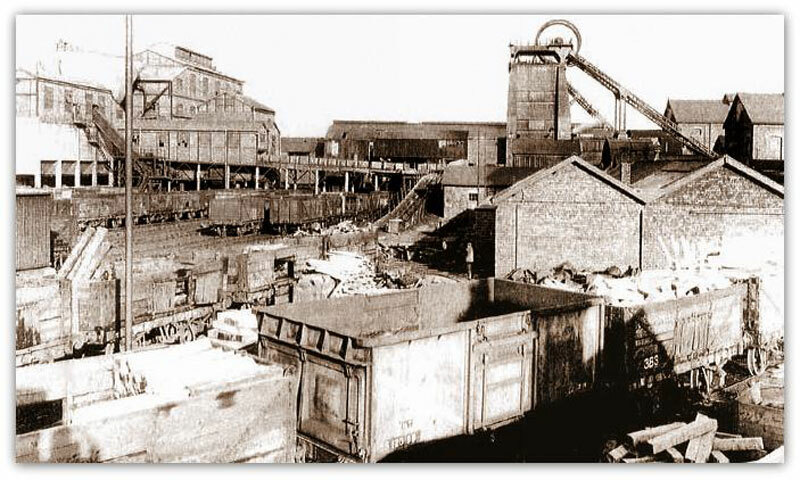 Silver Hill colliery (Nottinghamshire) (Stanton Ironworks Co Ltd) was closed for 2 weeks in August when the main drum on No1 winder broke and had to be replaced. Sheepbridge Coal and Iron Co, who owned Glapwell and Langwith, purchased Newstead colliery, although the pit still traded under the name Newstead Colliery Co. The First Waterloo seam was developed at Pleasley (Derbyshire) (Stanton Ironworks Co Ltd). A Baum wash box was installed on the surface to deal with the product. An aerial ropeway transported dirt to the tip at Warsop (Nottinghamshire). This was a popular system at other local collieries such as at neighbouring Sherwood (Nottinghamshire) and others for example. On 29th July 1939 the worst storm for many years hit the region. Exploratory development of the Threequarter seam at Creswell (Derbyshire) (Bolsover Co) began on 29th December 1939. The seam section was 2½” (0.06m) mixed coal and dirt and 2’ 9½” (0.85m) bright coal. The Nottingham and Clifton Colliery Co Ltd hired 250 rail wagons for 5 years at a rent of £2,287 10s (£2,287.50p) per annum on 24 Aug 1939. This was probably cheaper than buying their own wagons or paying demurrage on the railway company’s wagons standing empty at the pithead. Following complaints by the Nottinghamshire and Districts Federated Miners concerning shortage of candles for the use of miners at the Clifton, Radford and Wollaton pits, an investigation has been made. Mr P. L. Collinson, district supply officer, Ministry of Mines, who has now made arrangements for an adequate supply of candles to be available at the pits. Oil was discovered by the D’Arcy Exploration Co in the basal coal measures and millstone grit at Eakring near Bilsthorpe. This was a War effort move to supply oil in case of enemy action cutting off supplies to the country. Deep holes were bored into the anticline and a good grade of oil was found. The boreholes would hamper the layout of Bilsthorpe colliery however. The Second World War started on 3rd September 1939 when Great Britain declared war on Germany who had invaded Poland, one of our allies. Many miners volunteered and joined the armed forces, however some had to be sent back to the mines under the Restrictions of Engagement Order, as more coal was needed for the war effort. Emergency drinking water tanks were introduced underground. 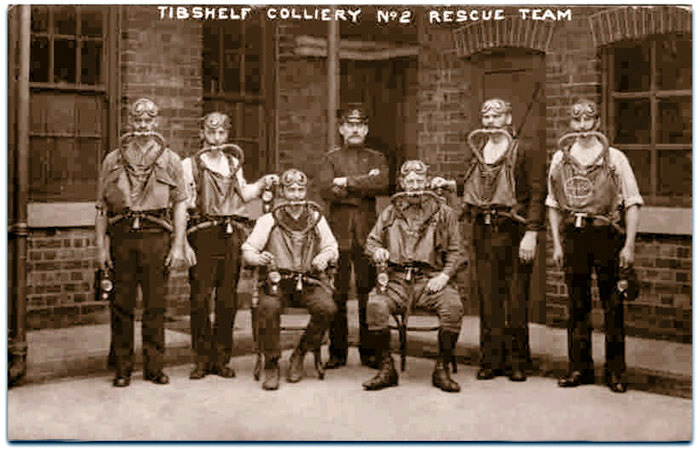 Of course each colliery had a Rescue Team whose job was to be always available no matter what shift, and of course each man had to be very fit. Training sessions were held frequently. Petrol rationing began on 24th September 1939. Also coal was rationed under the Fuel and Lighting Order. Blackout restrictions were introduced. Of course a major blow to the industry was the loss of export coal to France, and other European countries. A fair amount of coal was from this region and most of the markets would never be recovered. An Emergency War Budget was introduced in Parliament by Sir John Simon on 27th September 1939. The first thing to be rationed was petrol. This affected everything. The basic duty on tobacco was increased from 11s 6d (57½p) to 13s 6d (67½p) per lb adding 1½d (½p) per oz in the shops affecting all users of cigarettes, chewing tobacco and cigars and snuff. Sugar duty was increased also making higher prices for jam, tinned fruit etc. The dirt tip at Langton was on fire due to spontaneous combustion of the discarded coal and great efforts were made to douse the flames so as not to betray the position to possible enemy aircraft. Men on fire watching duties were employed at night at all collieries. The Nottingham and District Miners’ Pension Scheme 1939 was instigated. The Coal Mines General Regulations (Firedamp Detectors) 1939 came into force. From 1st November 1939 under a Cost of Living formula there was 8d (3⅓p) a shift cost of living rise granted for those aged 18 and over. For those under 18 it was 4d (1⅔p) a shift. Average wage in 1938 was £3 0s 10d (£3.04) a week or 12s 4d (61½p) per shift. Average earnings per shift in Nottinghamshire were 15s 0¾d (75p), North Derbyshire 12s 3¼d (61¼p) and South Derbyshire 10s 11¾d (55p). Warsop (Nottinghamshire) A massive fall on a Top Hard coal face, some 8 or 9 yards (7m or 8m) long, smashing props and bars, entombed 6 men on 20th December 1939. The colliery Manager Herbert Gent (286) supervised the recovery of the bodies and the timbering up operations. It was very slow progress due to the amount of debris, estimated at 1,850 tons. William Fry (2089), Manager at Markham (Derbyshire) and Charlie Ringham (2199), Manager at Ireland (Derbyshire) hastened to the scene some 3 miles from the pit bottom to assist in the supervision. It was Christmas Day before the first body was recovered and New Year before the last was recovered. Alfreton, George Henry Holmes (46) fall of roof 18 Jan 1939. Blackwell A, Soloman Ball (58) fall of roof 18 Jan 1939, died 10 Aug 1939. Creswell, George Attwood (63) manrider accident 12 Sep 1939. Eckington, 21st April 1839, John Goodwin a young collier was killed when there was a fall of roof. Some time before one of his brothers was killed underground and another brother was at present recovering from accident wounds he received whilst working on the railway. Langwith, Bernard H Elliot (?) fall of roof? Jun 1938, died 26 Mar 1939. Langwith, William Swales (52) fall of roof 8 Dec 1939. New Pit at Staveley, Newthorpe. At about 3 o'clock on Tuesday morning 19th Nov 1839, two men and a lad saw the corve over the shaft and thought it was ready for them to descend the pit, but the rope being out of gear was loosed and all three fell down 90 yards and the rope fell down upon them. One man had his leg broken in two places and the other an arm and a leg and similarly the lad was seriously injured. All three were smashed in such a horrible way they were not expected to survive. Park House, Edward Everett (64) run over by wagons on surface 5 Jan 1939. Pleasley, John Green (24) fall of roof 16 Jun 1939. Stanley, Albert Edward Hill (45) shot firing accident 25 Feb 1939, died 6 Mar 1939. Stanley, Horace Dilks (57) fall of roof 20 Dec 1937, died 24 Jun 1939. Stanley, Sam Straw (47) fall of roof 8 May 1939, died 15 Jul 1939. 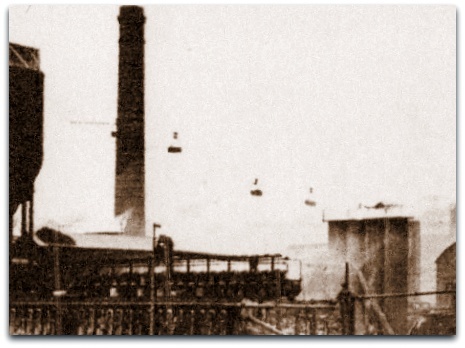 Swadlincote Colliery, owned by Messrs Wilkinson 4 men, Henry Kent, John Heap, John Harvey and William Taylor were descending the shaft when the chain broke and they fell 150 yards to the bottom of the shaft. A wooden scaffold had been erected across the shaft near the pit bottom for the purpose of getting a shallower seam. This collapsed due to the men falling down the shaft. There was some water at the shaft sump and their bodies were not recovered for some time. An inquest was held and the jury deemed that the chain was not as efficient as it could have been when it broke and a deodand of £5 was imposed on the chain. Wingfield Park No2 (E Glossop) South Wingfield Park, not worked since 1938. Birchwood, New London/Digby. At Bolsover (Bolsover Colliery Co Ltd) the Low Main was abandoned at No2 pit, 670 yards (612.6m) deep. Heath End Cannel mine (John Lancaster and Co), 68 yards (62m), seam dipping 1in20, stoney coal 4’ 0” (1.2m), stoney coal 2’ 0” (0.60m), cannel 1’ 0” (0.30m) Kilburn seam finished.